70 x 24 inches. Our cardboard cutout of Pirate. All cardboard cutouts come folded and have an easel ..
47 x 41 inches. 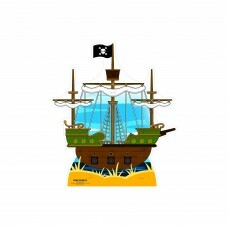 Our cardboard cutout of Pirate Ship. All cardboard cutouts come folded and have an e..
68" x 27" inches. Our cardboard cutout of Pirate Wench. Items are printed and produced to order. Pri..
61 x 22 inches. Our cardboard cutout of Pirate Woman. 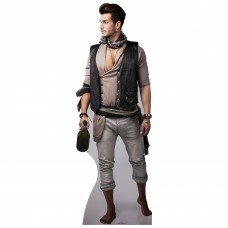 All cardboard cutouts come folded and have an ..
50" x 44" inches. 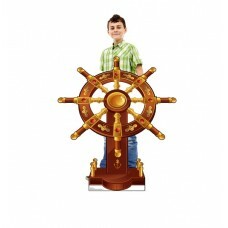 Our cardboard cutout of Ships Wheel. Items are printed and produced to order. Prin..
44" x 39" inches. 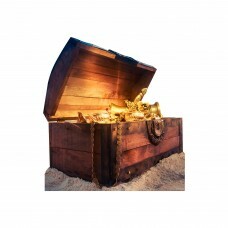 Our cardboard cutout of Treasure Chest. Items are printed and produced to order. P..
50 x 46 inches. 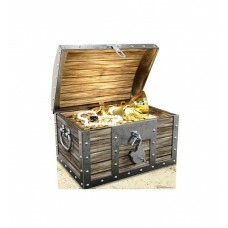 Our cardboard cutout of Treasure Chest. All cardboard cutouts come folded and have a..